David Macaulay's Latest Book Explores Simple Machines | The Kids Beat | Kids VT - small people, big ideas! David Macaulay's books explore the inner workings of everything from cathedrals to toilets. The celebrated Norwich author does so "with a writer's grace" and "an engineer's clarity," according to the New York Times. 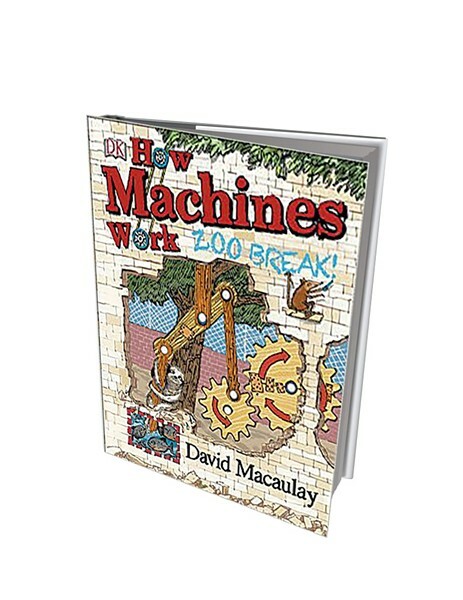 Last month, Macaulay released how machines work: Zoo Break! The story, geared toward 7- to 10-year-olds, follows two furry characters, Sloth and Sengi, as they try to escape their enclosure with the help of six simple machines: a wedge, lever, inclined plane, screw, pulley, and wheel and axle. 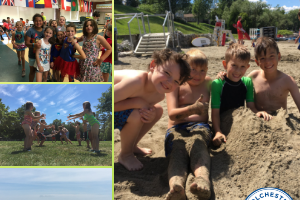 Engaging illustrations and text, pop-up models, and interactive elements bring the concepts to life. On one spread, for example, young readers can create a seesaw and try to launch models of Sloth and Sengi over a paper fence. And at the end of the book, kids will ooh and ah as they discover an elaborate pop-out contraption that incorporates all six machines they've just learned about. How Machines Work: Zoo Break! By David Macaulay. Published by DK, 32 pages, $19.99. David Macaulay will read and sign copies of his book at Norwich Bookstore on Saturday, November 15, 1-3 p.m.